Paraguay was a bust…kind of. After arriving at the border on Saturday morning, we were sent back until we could go to the Paraguayan consulate on Monday morning. Long story short, we spent the weekend seeing into Paraguay, but we were not able to get IN to Paraguay. The missionary connection we had in Paraguay, Anja and René, were awesome! They tried everything to help and in the end came with dinner and some friends to visit us across the border in Argentina. 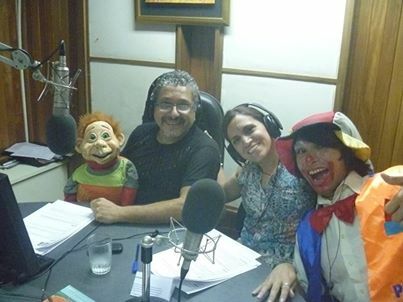 Toti y Sus Amigos is a puppet and theatre ministry that does evangelism outreach to kids. They are able to travel around to schools, hospitals, fairs and other venues to engage kids in a fun, interactive presentation that gives a clear gospel message. Last year alone they presented the gospel to over 16,000 children. 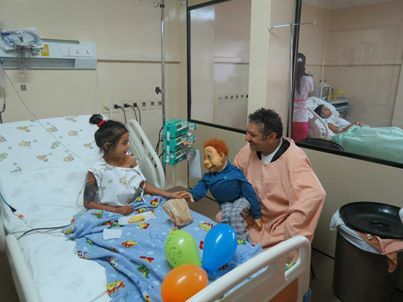 At the heart of their ministry with Toti, the large ventriloquist puppet, are visits with patients at the children’s hospital. They spend a lot of time visiting the cancer patients and other children that need some distraction from their pain or diagnosis. We heard many stories of Toti getting an IV alongside a frightened child, or how Toti accompanied a child as they were being wheeled in for surgery. Toti y Sus Amigos also does a child’s radio show each week that reaches thousands of children with The Word of God in a fun way. As we talked with them, we could see the love and passion they have for reaching children with Jesus’ message of love and hope. As with most ministries, they do all of this as volunteers. Their desire is to invest more time at the children’s hospital, since that is where they see the most need, and to take as many opportunities as they can to visit schools. Their problem is finances. To do Toti y Sus Amigos full time, they need to raise funds and/or sell more of their leather products. Another match for The Yada Project! We continued the talk of various leather products we would like for them to make for The Yada Project and pursue some ideas we already had for leather. Watch for some great handmade leather products direct from Paraguay. They are excited about the partnership and so are we! We look forward to working with Toti y Sus Amigos on expanding their efforts in Paraguay and are reminded again of the impact that can be made for His Kingdom if we follow His leading. We are now on an overnight bus to Buenos Aires (18 hours), where we will spend the day and then take another bus (25 hours) to Bariloche, Argentina. From sea to shining sea in South America….